On the 1st of October, I had the delight of photographing the wedding at Mayfair Library of Natalie and Robert. This lovely couple got in touch last spring as they knew me from their friends’ wedding that I photographed a couple of years ago in Sussex. It always so much fun to photograph for clients of past wedding couples because there will be familiar, friendly faces, and the couple will already know how I work. I can get relaxed, natural photographs without anyone pay too much attention to me or worrying about a thing. 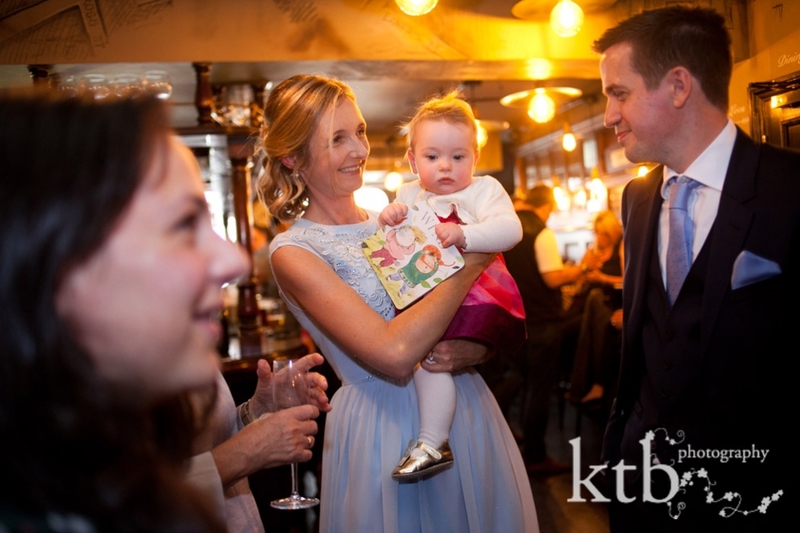 Natalie and Robert had a great party planned for their wedding with the emphasis on friends, fab music, great food in the form of tapas and lots of lovely cava and vino. 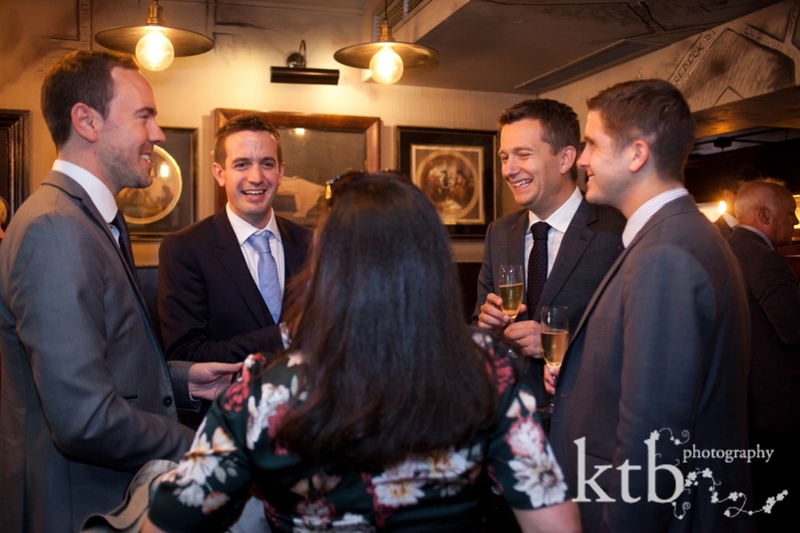 The day would start at The Punchbowl pub in Mayfair with relaxed, pre-wedding drinks and then a stroll over through Mount Street Gardens to the actual wedding ceremony in the Mayfair Library. Natalie and Robert headed to the ceremony a few minutes earlier than their guests, and it was absolutely beautiful light with dappled sunshine through the clouds and trees of Mount Street Gardens which gave an ethereal mood as they walk with their sweet baby girl to the wedding. Guests weren’t quite so lucky, and a few minutes later when they headed to the library it was brollies and a quick dash for cover when a short shower erupted. The ceremony was short and sweet with readings from both mothers and more than a few emotional moments, and just after the ceremony there was another moment of sunshine followed by showers, so we simple used the portico of the Mayfair Library for Natalie’s and Robert’s couple photos. The side lighting through the ironwork and the front steps actually makes a beautiful setting as well as a gorgeous light and is a reminder that beautiful wedding day portraits don’t need to be anything complicated or in tons of different settings and backdrops. Sometimes all you need a few quiet moments of the couple together for the first time as husband and wife. 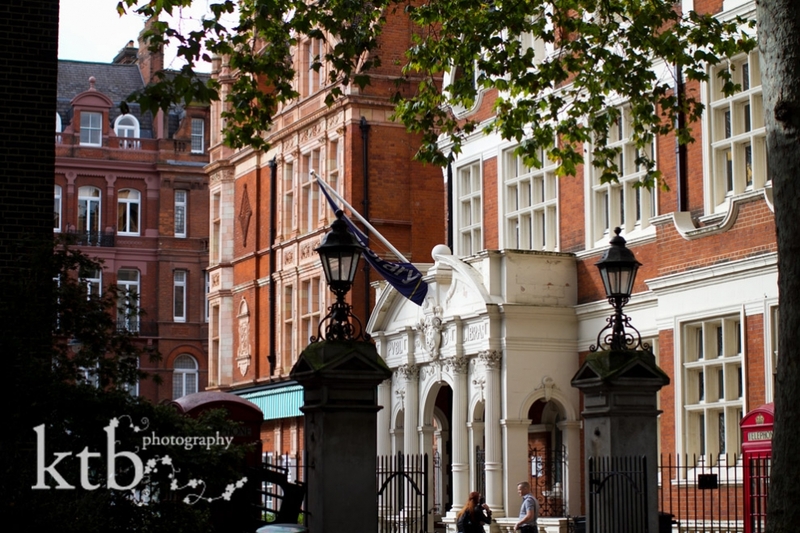 We then left the photography, wedding and rain at Mayfair Library behind and headed off over the rainbow – literally – to the City of London for the reception which I will post next week. © ktb photography | 4 Church Walk London N6 6QY | photography by ktb main website |ProPhoto WordPress Blog | Designed by That's Kinda Cool!